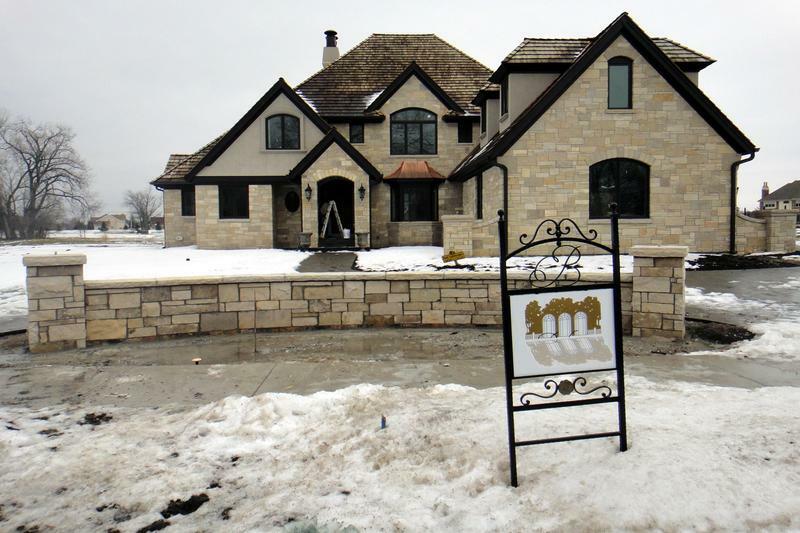 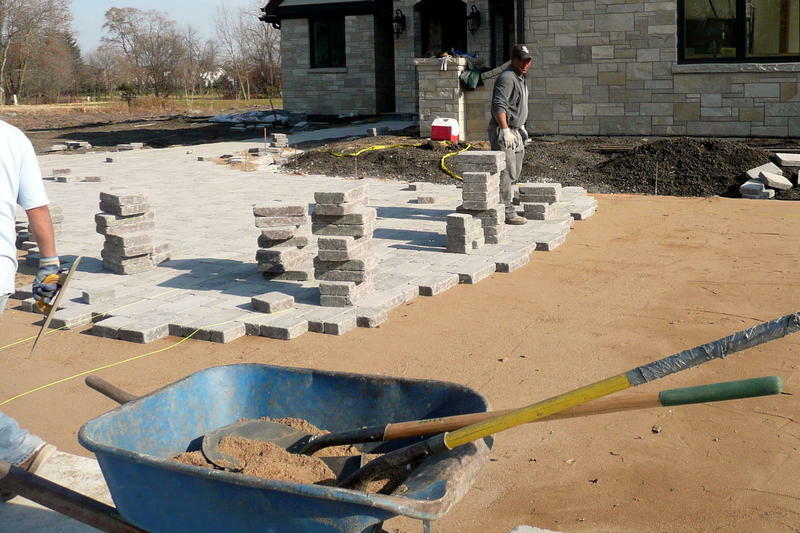 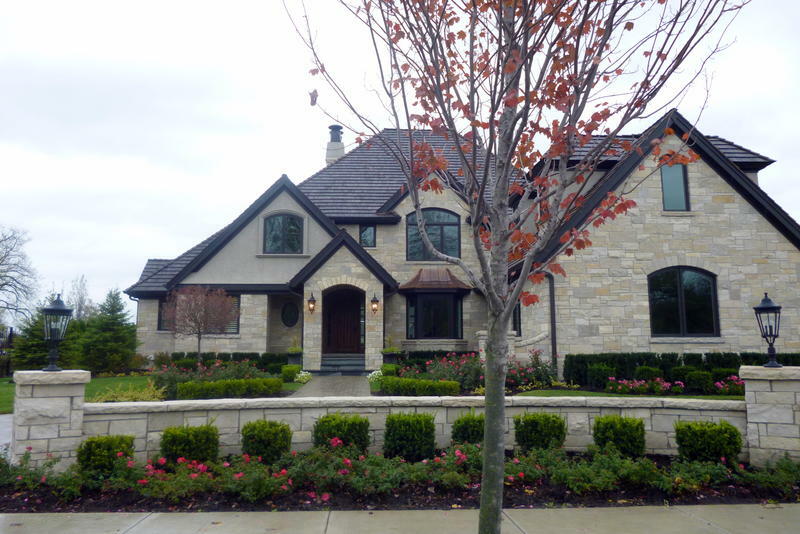 Click to see how this brick driveway was built and landscaped. 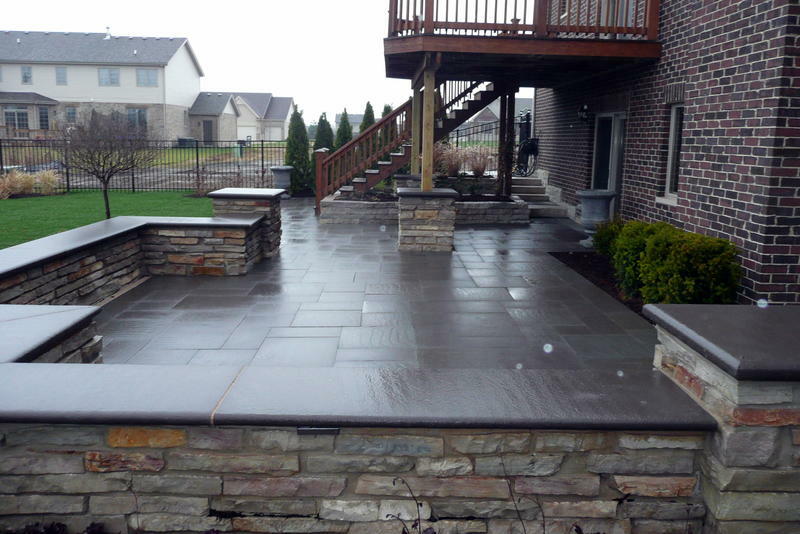 Click to see how this back porch was constructed. Click to see more photos of the Dahl Landscape team at work. 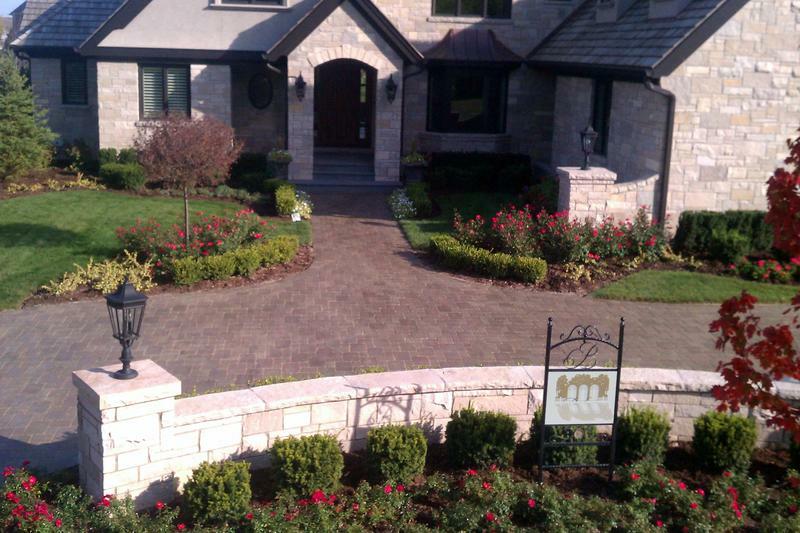 front yard. 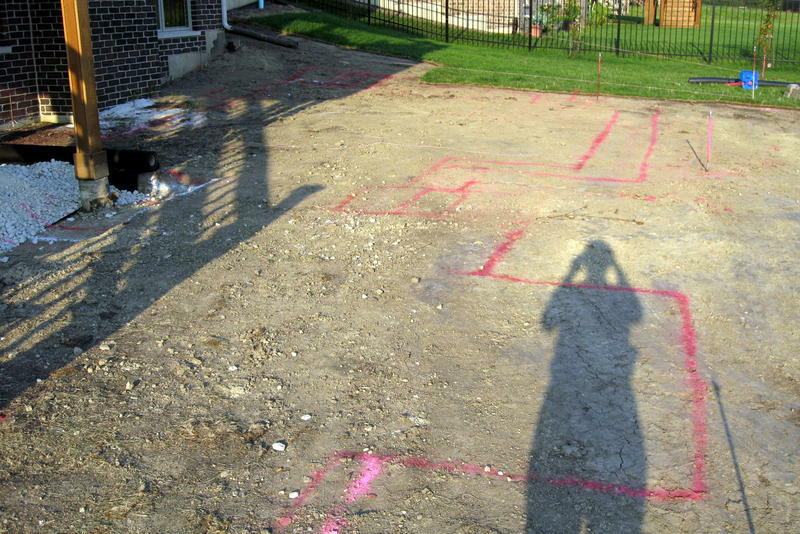 Here is how the yard appeared before we got started. 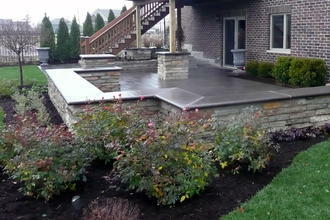 Here is the final look of the front yard. 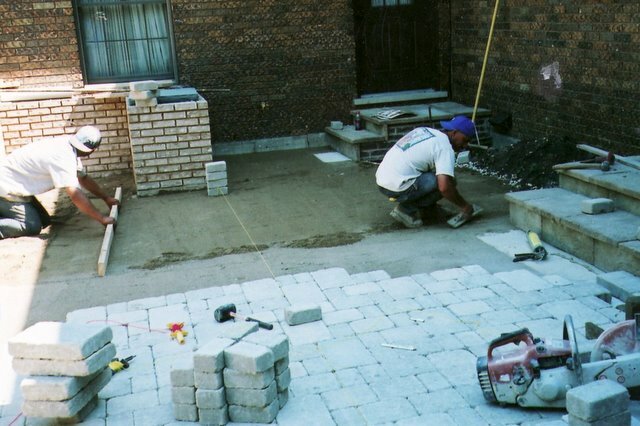 This angle shows a better view of the brick driveway. 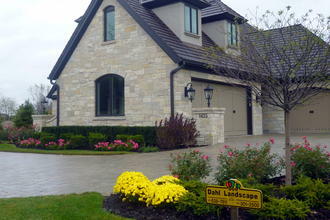 Here is one more look, showing the driveway as it smoothly curves around to the side of the house. 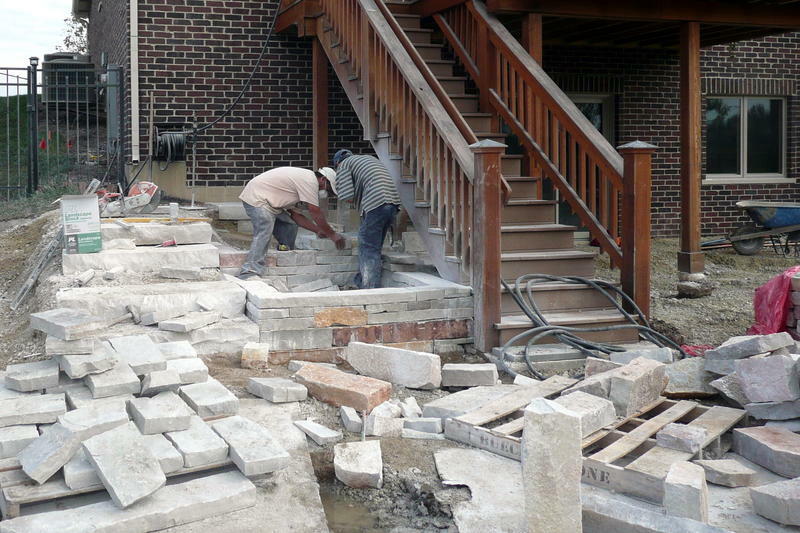 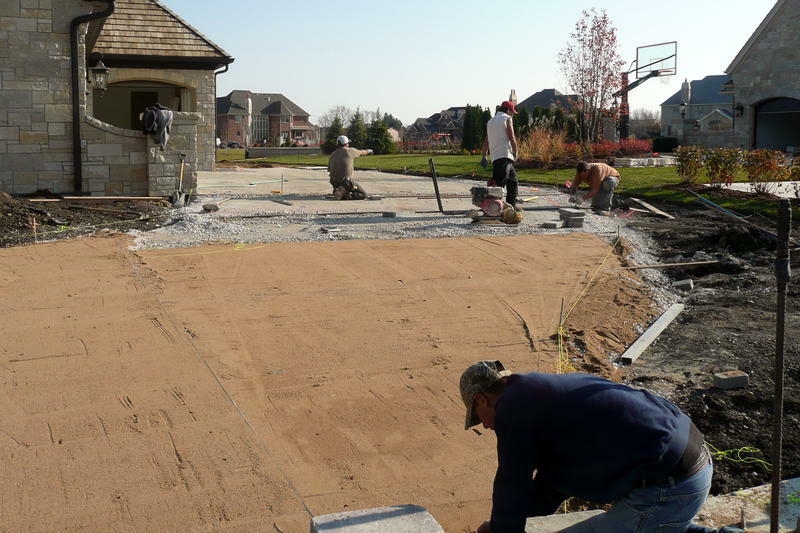 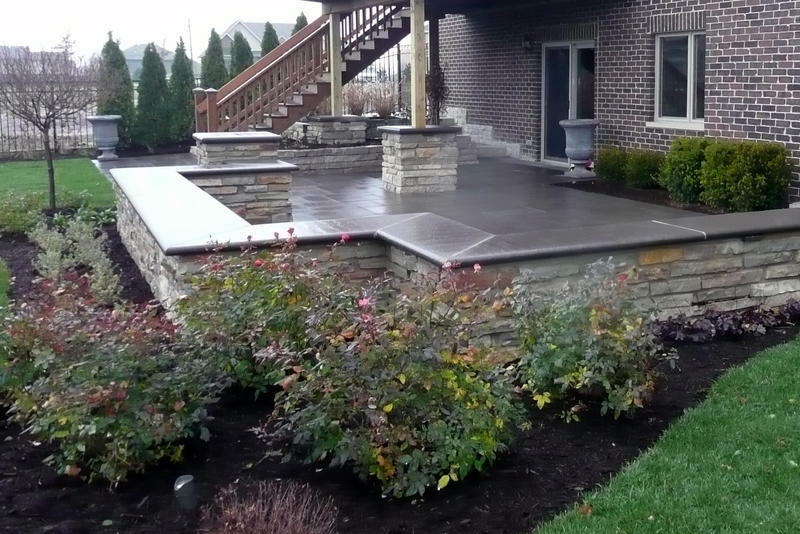 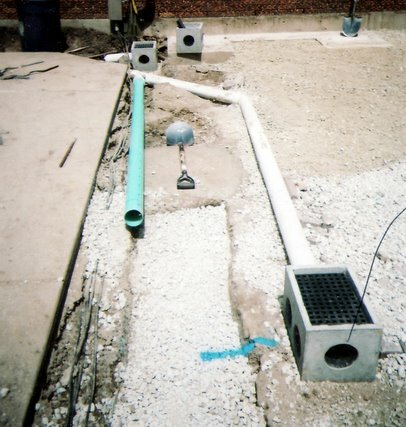 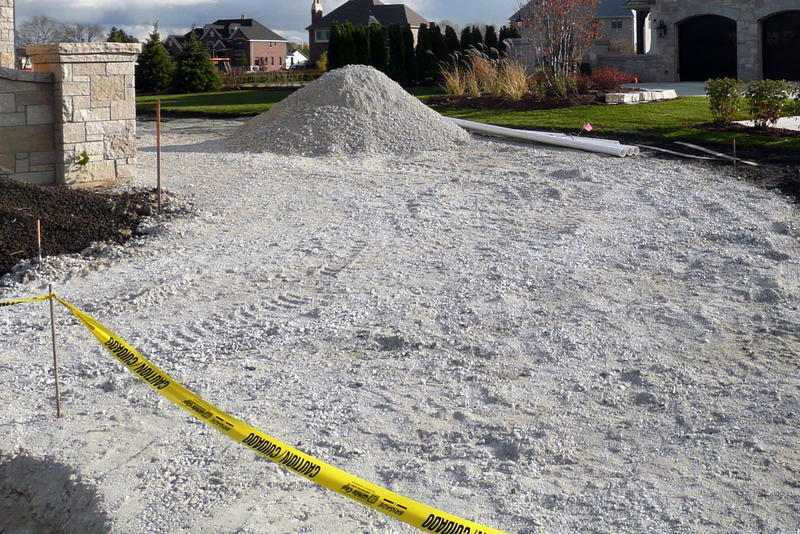 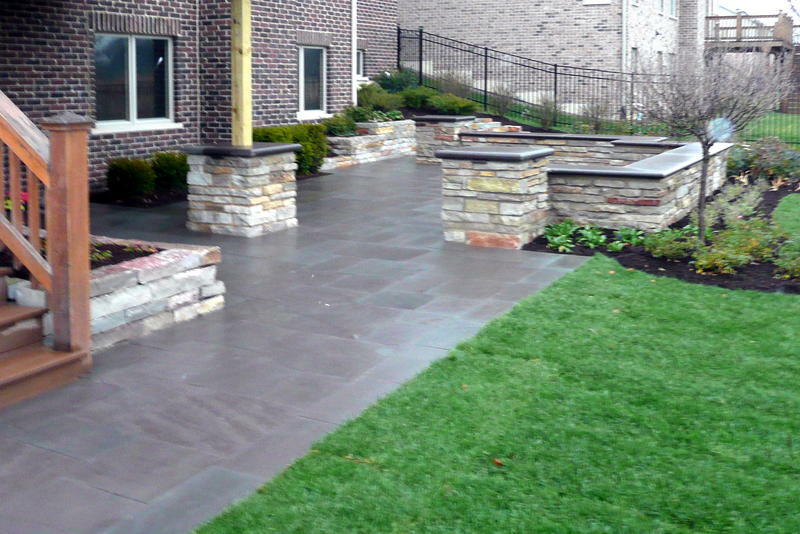 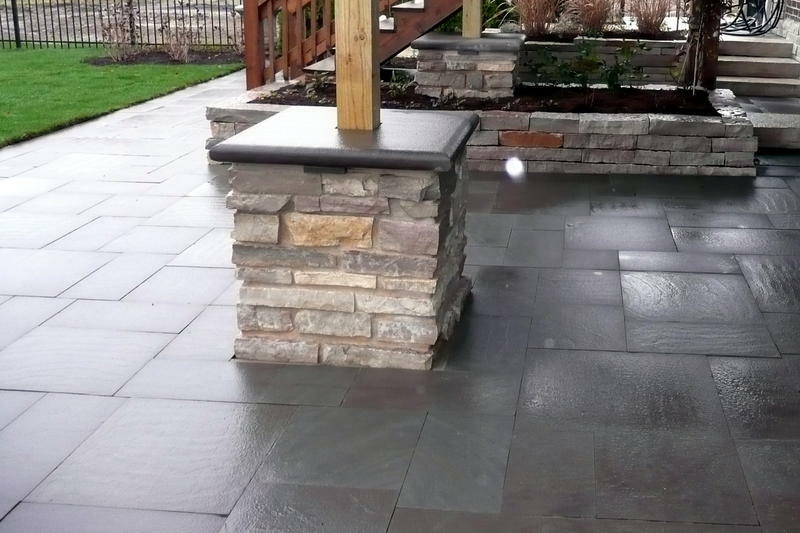 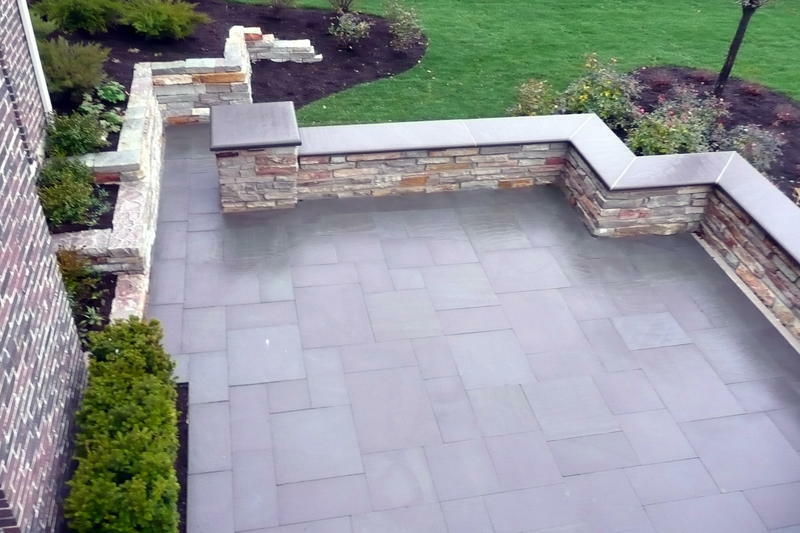 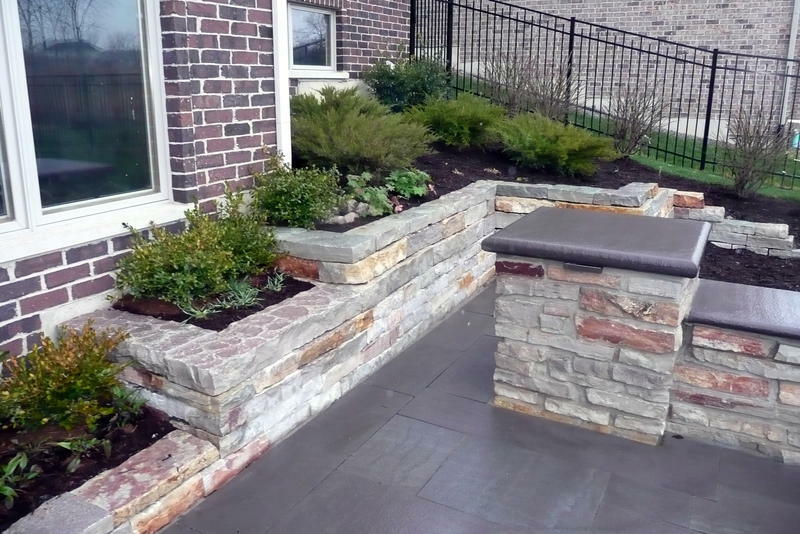 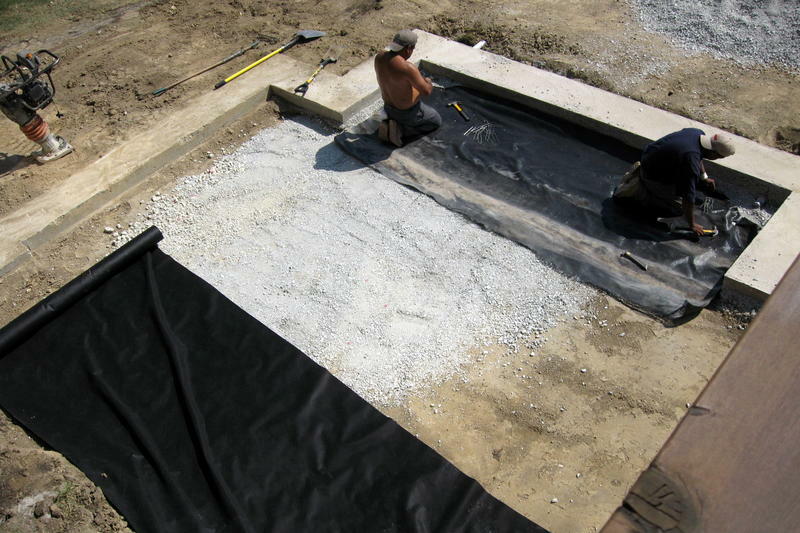 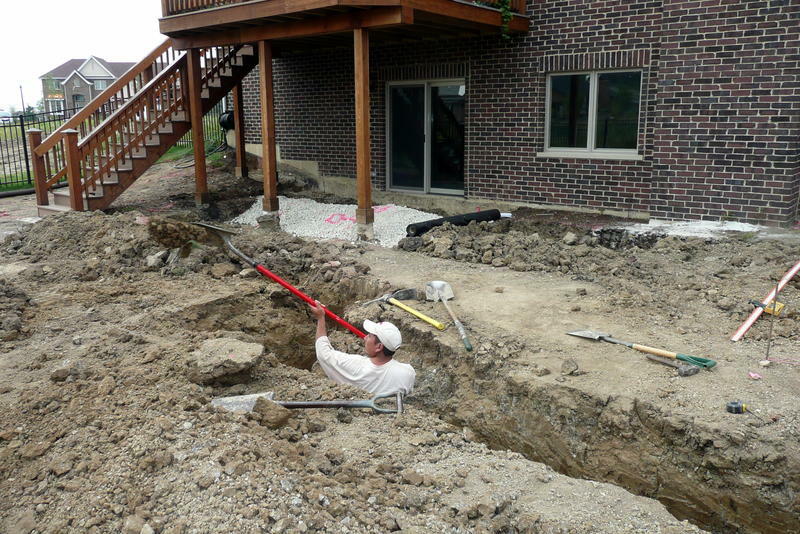 The following photos will let you see an entire patio project from start to finish. 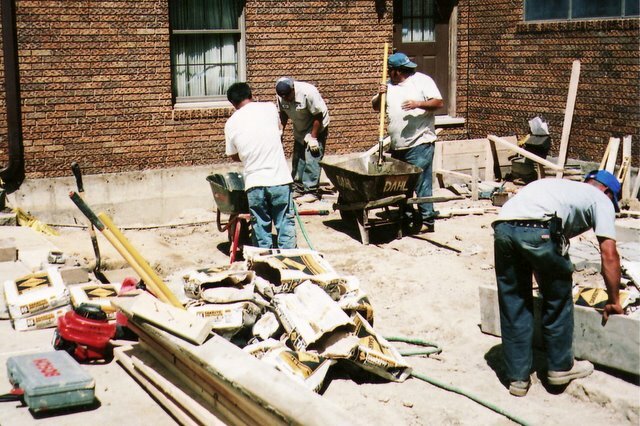 Here is the yard before we got started. 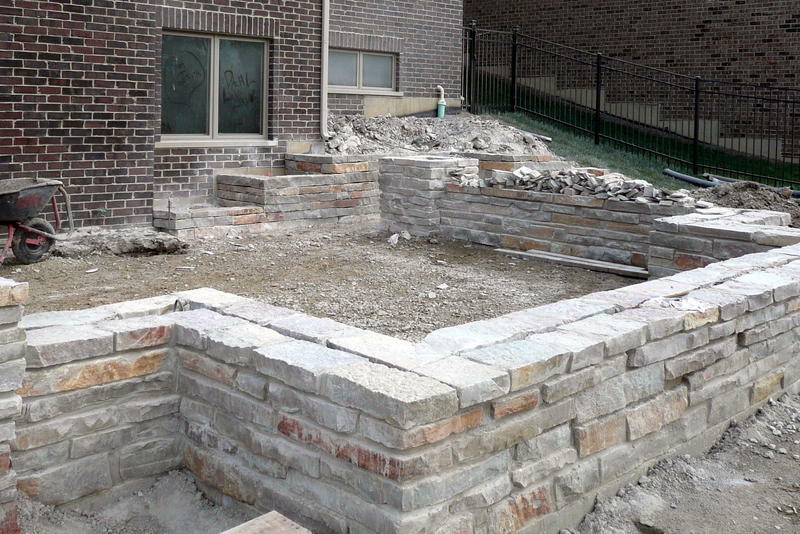 The work is complete! 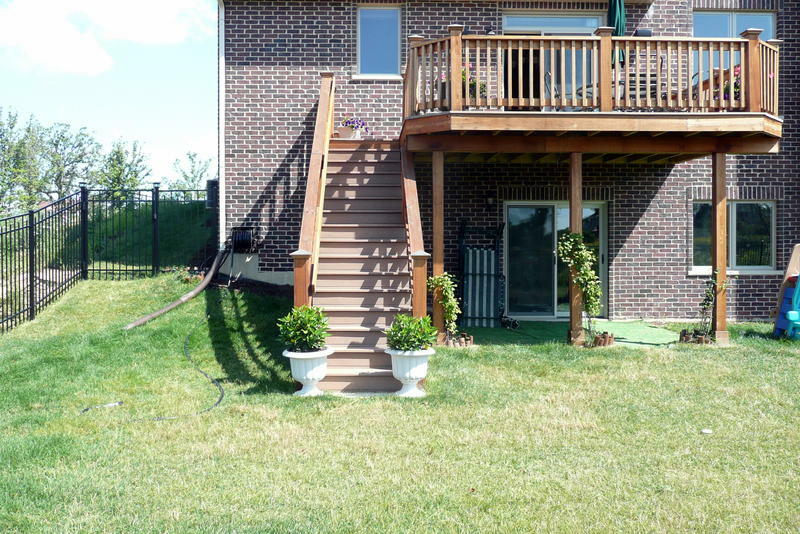 Now let's look at the finished project from a few different angles. 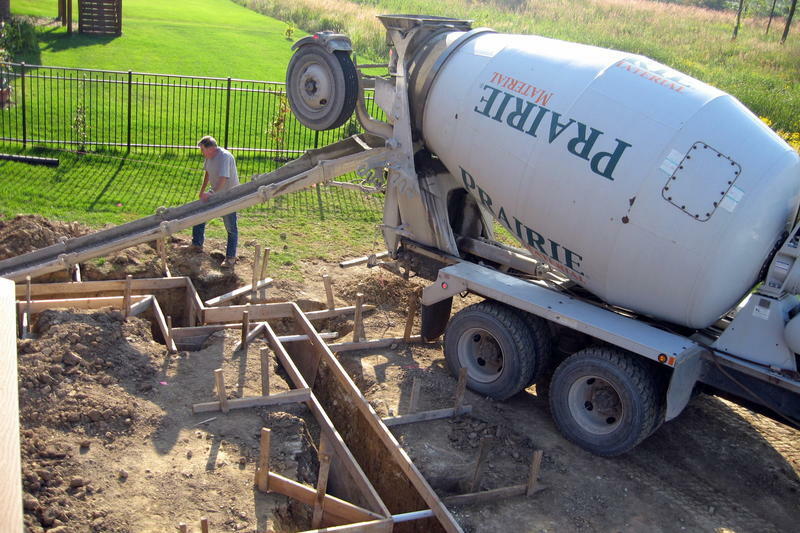 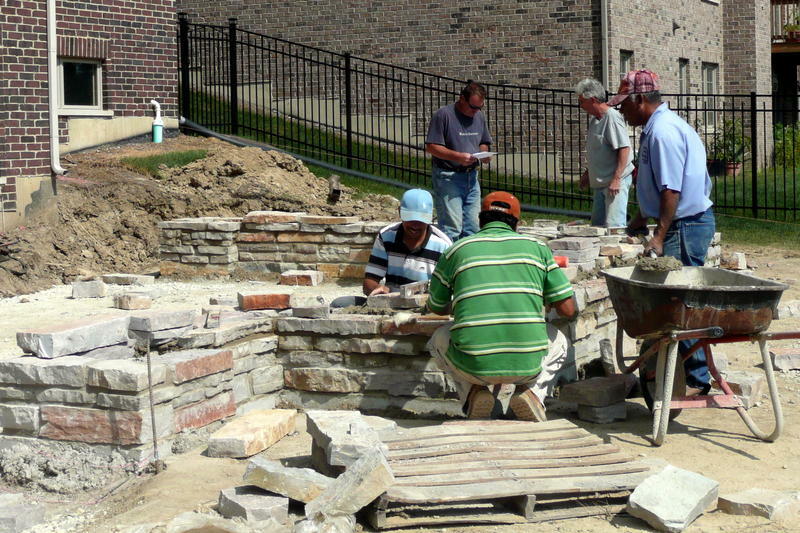 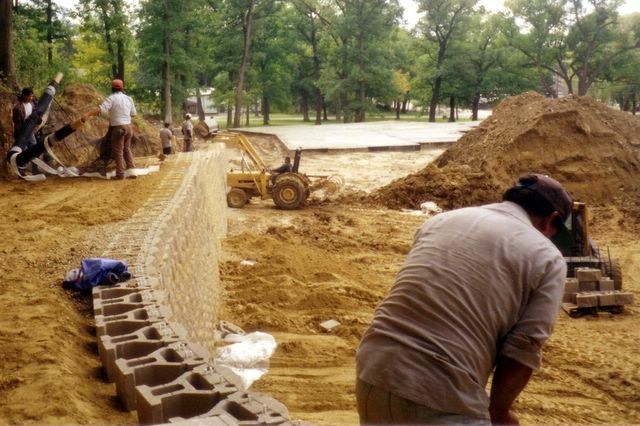 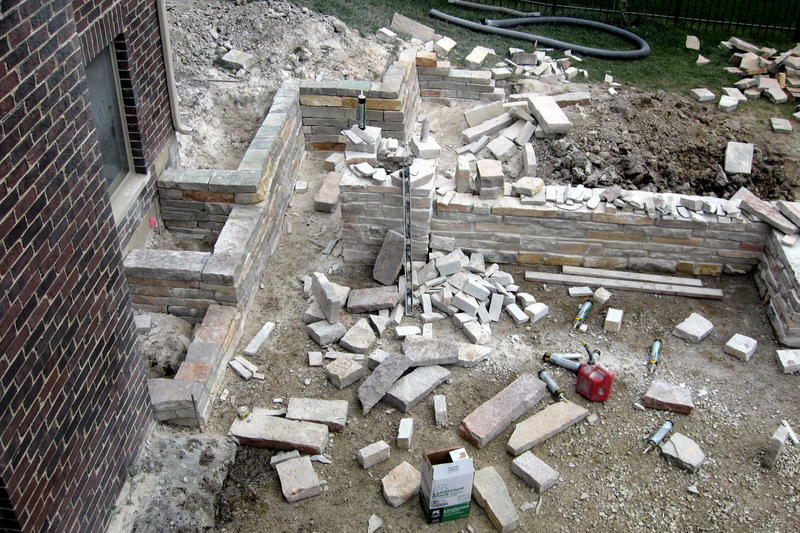 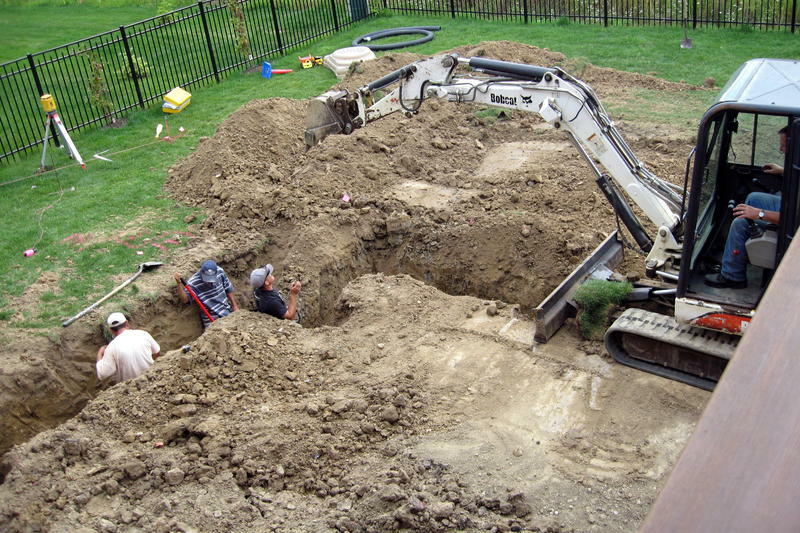 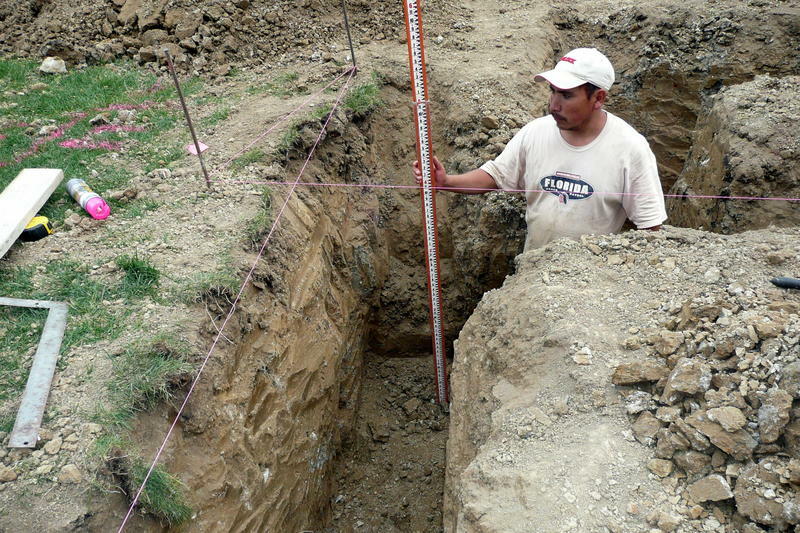 Here's a behind-the-scenes look at Dahl Landscape installing a wall for a backyard landscaping project. 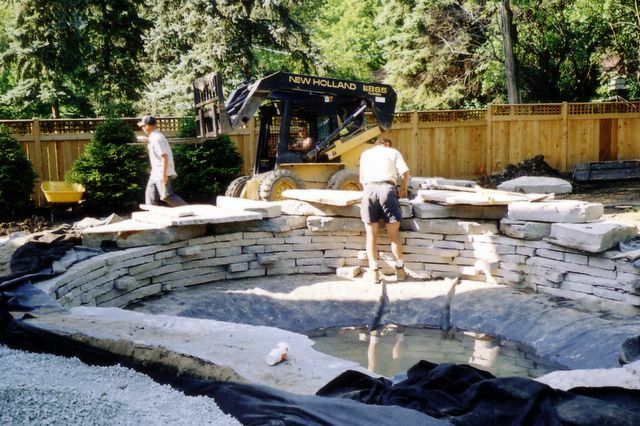 At work constructing a pond. 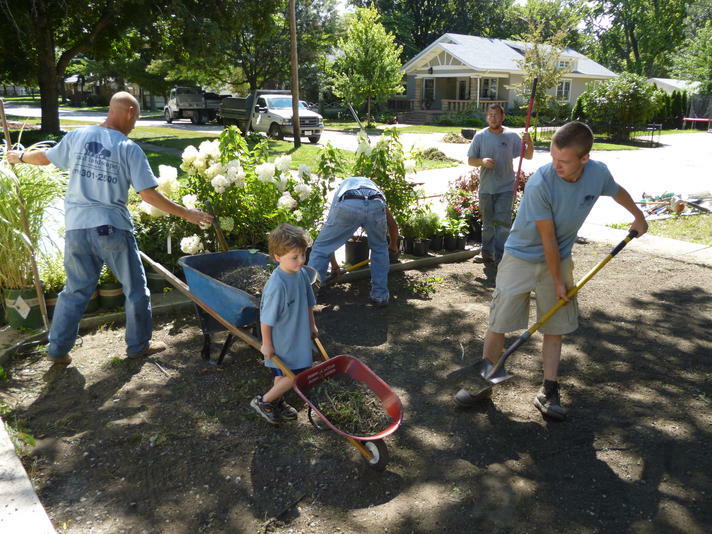 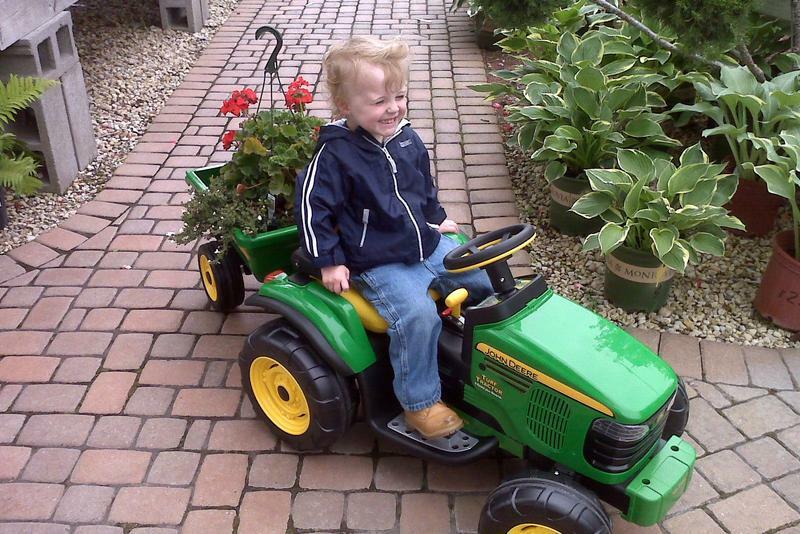 One of the youngest Dahl family members gets into the landscaping spirit. 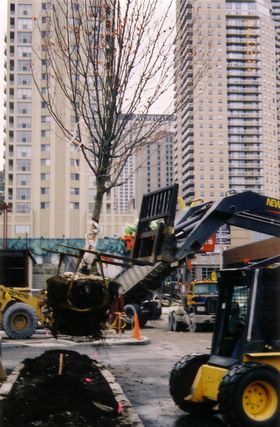 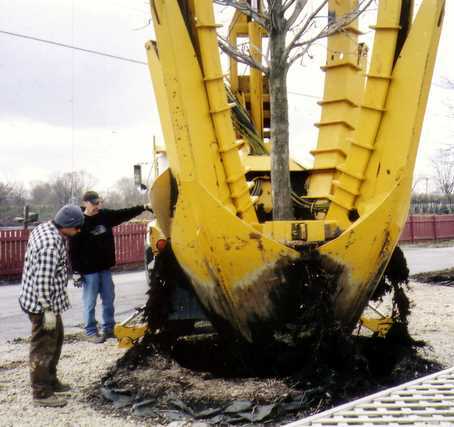 Placing a tree in a downtown lot. 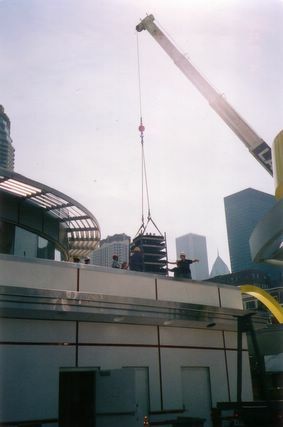 Installing a rooftop planter downtown.